When a printer or copier stops working properly, this can put a strain	on the day-to-day operations of your office. 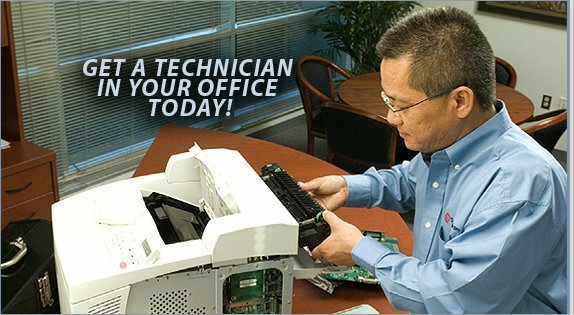 When your office equipment	is in need of a repair, you can depend on our professionally trained technicians	from Ameritech Office Systems to get it up and running again. Our	Anne Arundel copier service company is backed by over 30 years of experience! With our	service and maintenance contracts, you can benefit from reliable, regularly scheduled service to keep your	office equipment in the best condition possible. We even offer same-day	service to help you minimize the amount of interruption that your business	experiences due to a malfunctioning copier or printer. For service you can count on, choose Ameritech Office Systems in Annapolis	for your copier and printer service needs. We also serve all of Anne Arundel	County, as well as Columbia. Call us at (410) 216-9676 to make an appointment. We are ready to serve you today!